So I decide a few weeks ago to hop on the romper bandwagon and buy this one from J.Crew Factory. If you saw my instagram yesterday you know that I love it! I've tried on many rompers in my day and being 5'9 and over 30 makes it hard to find an appropriate one that I don't feel silly in. The J.Crew one totally sold me and now I'm on the hunt for more. If you're not sure about rompers give this one a try! It's super cute but still long enough and flattering for me to wear without looking like I'm trying too hard. I'm obsessed with this chambray one and I think I'm going to order it. I love this chambray on too at only $28 but I'm afraid it might be too short on me because their stuff is so short. Love the pattern and that it's strapless. Looks like it could easily go from day to night. Love this white one and think it would be great for a night out paired with a big chunky necklace and wedges. I've dubbed this the bridal romper! 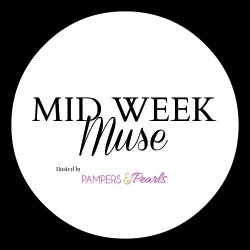 I this would be perfect for a bridal shower, bachelorette party, rehearsal dinner, or post wedding brunch. If you know anyone getting married tell them to buy this romper. Are you a romper person?? Have you tried them out? Found they work or don't work for you? 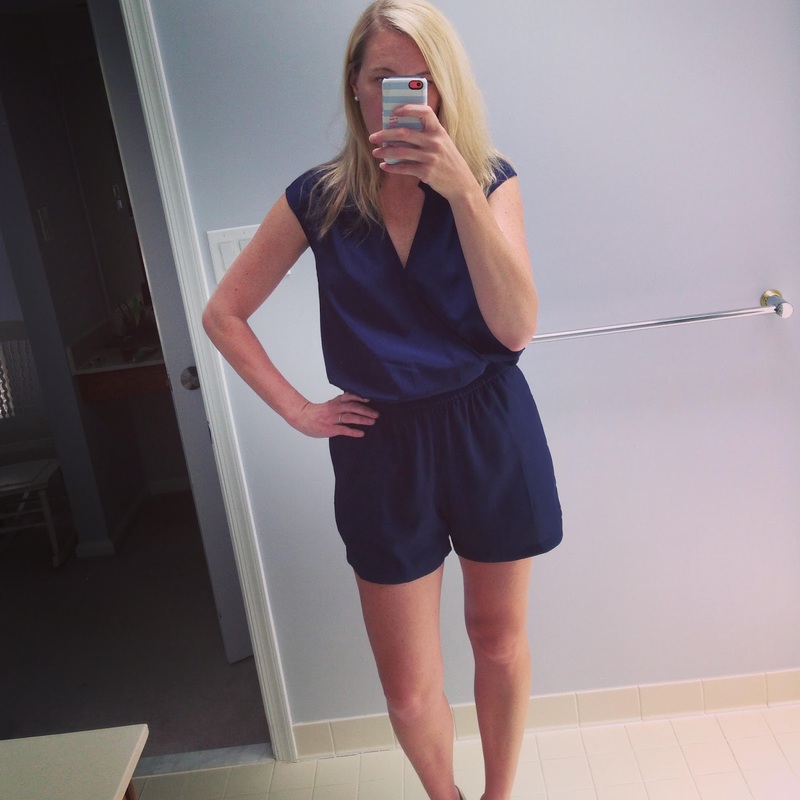 I love that J.Crew romper you got! It would look so cute with wedges too! I've seen a couple of maternity rompers and they just don't look as cute so I may have to wait and get one till after this baby comes! I love those rompers! I have yet to buy one though, I'm afraid they won't look very good on me. 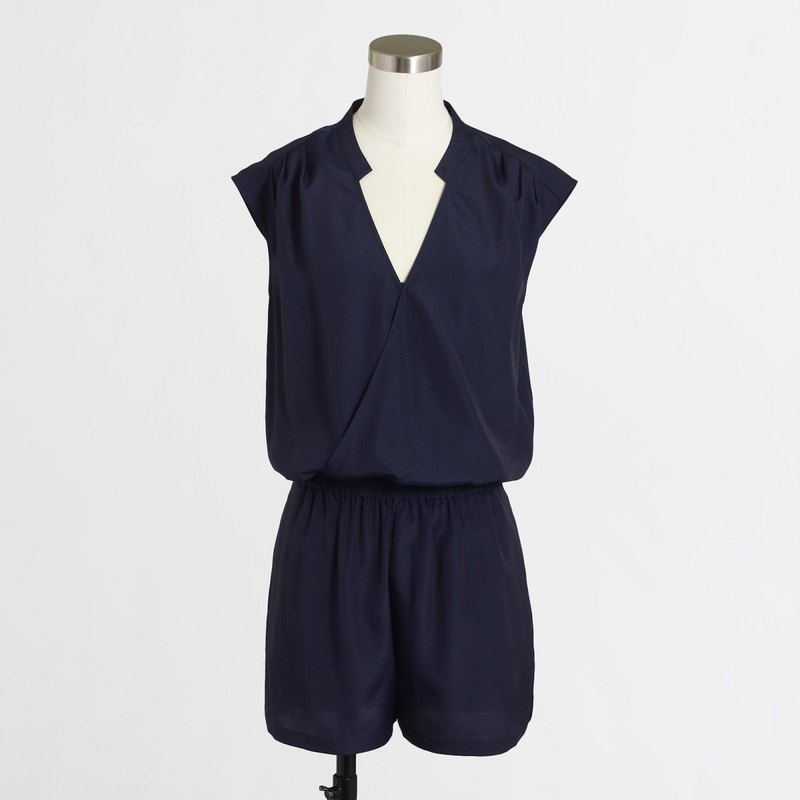 I ordered one of the other Jcrew Factory rompers and can't wait for it to arrive! My only concern is going to the bathroom - why don't they have snaps at the bottom like baby clothes?! I haven't tried rompers yet because I feel like I wouldn't look good in them, but you look great! Maybe I need to try one out!